As you read this, I have 3 more full weeks of school and this semester is done. I still can't believe the privilege it is to walk into someone's hospital room, stand by their bed, and become part of their story in that instant, in the most vulnerable place in their life. Trust me, it doesn't always feel like a holy moment. Sometimes, I feel panicked, uncomfortable. Like last week, when I stood by the bedside of a mentally challenged five year old boy who could not speak and wore a diaper. I had no idea in the world how to approach him, communicate with him, comfort him when I'm sure I scared the heck out of him wearing a mask and a gown and gloves and coming at him with a blood pressure cuff. But it's in those moments that I have to pray, "Lord, take over. I am so worthless here." I feel like I have absolutely nothing to offer. But then I remember I have Him, and that's more than enough. I can offer the Healer, the Comforter, the Savior through my words, through the silences, through the love in my eyes. thanking the LORD with you! I'm so excited for you! You remind me a lot of the nurse who delivered my baby girl two months ago. She was such a sweet blessing to me, and I'm so thankful for her! I know you will be a blessing to everyone you take care of. Strong work. Enjoy your break. 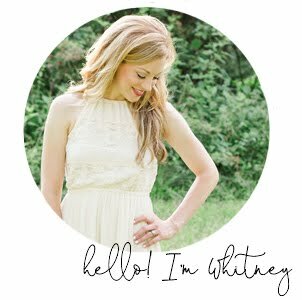 Whitney, you are such an encouragement. It is beautiful to see how God is working through you and shaping your life into what He desires, and it's even more powerful that you are steadfast in following His will.